All digital displays supplied by Display innovations can be modified to be suitable for your application. The digital screens can become interactive digital displays by adding built-in motion sensors, external buttons or touchscreen digital displays in order to trigger videos. Our range of digital displays can have built-in or external motions sensors to trigger the video content. 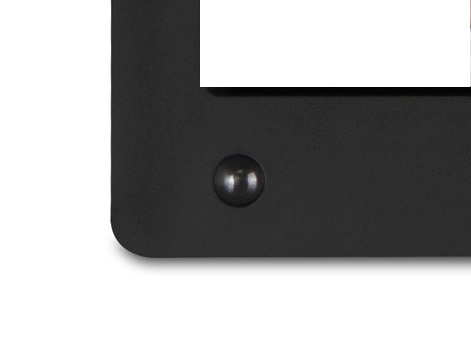 The internal motion sensors are built into the frame of the digital screen; and the external motion sensors can be connected to the digital screen via a cable of any length required, in order to integrate it into the required position within the display stand. This option is generally used when the digital advertising content is only required to be shown when a customer is in front of the display. However, we can also supply different motion sensors that can activate the digital display at different ranges. Display Innovations can ensure that the digital displays become somewhat interactive by adding external buttons to trigger the specific video content. There can be numerous buttons connected to the digital display via a cable of any length required, in order to integrate it into the required position within the display stand. For smaller sized digital screens (up to 10″), a battery powered option is available together with 1 external button. In this case, the digital display can be pre-programmed to automatically turn off at the end of the video, to save the battery life. Touchscreens are an effective way to engage with customers allowing then to access more product information and navigate to other sections of the content. However, this interactivity will require additional design of the software according to the navigation requirements.